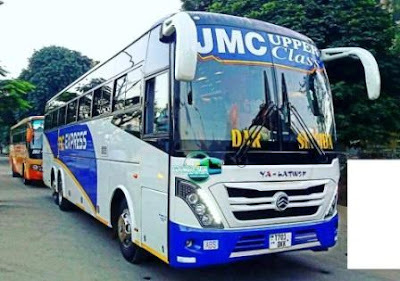 JMC Upper Class Bus was formed in 2007 offering passenger transportation services between the Dar es salaam city and the central zone province namely Singida, They have daily schedule from both regions with some stops at Morogoro, Dodoma and Manyoni. This company have other division which were awarded International Postal and Courier Services License by the Tanzania Communication Regulatory Authority (TCRA) and became the 6th entrant into the postal and courier services market in Tanzania. Their Dar es salaam to Singida route started on the early of 2016 with a fleet from Golden Dragon bus maker of China. They have a modern and Luxury fleet which bring tough competitions to their giant competitor ABC Upper Class. JMC Express is committed to provide the best transport solutions and parcel delivery to clients in order to gain competitive advantage on both a local and international level, Their service has to be of world class standards. They are ensuring that their staff are competent to deal with all aspects of the business. They are trained to be fully conversant with geographical layout, road conditions and permit requirements for cross border travel. Chinatown Bus Is a passenger transportation com[pany which based in New York City. 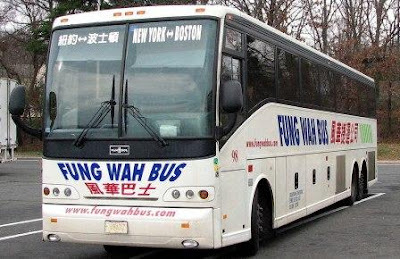 In the late 1990s a few entrepreneurs in New York’s Chinatown started running buses from Chinatown in NY to Chinatown in Boston for less than half of what traditional bus companies were charging and a fraction of what it cost to take the train or fly. Their target market was Asian immigrants who wanted to shop or visit relatives and needed cheap and convenient transportation. Although the buses were modern and comfortable, the service was bare bones-no advertising, customer service, or bus stations. Customers simply went to the bus stop, waited for the bus, and paid the driver upon boarding. For those willing to do without frills, these companies offered virtually the same service as Greyhound at a substantially lower price. Before long, word spread about the service and all kinds of travelers started using the service. It became especially popular with students, budget travelers, or people for whom the service was simply more convenient. 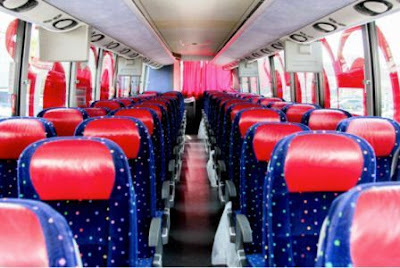 Chinatown Bus services are also popularly known as Chinese Bus or China Bus. They currently cover more than 40 cities, including Boston, New York, Washington DC, Philadelphia, North Carolina, South Carolina, Virginia, Atlanta, Florida, Orlando, Miami, Los Angeles, Las Vegas, and more. The Chinatown buses (or China buses) have become an iconic way of transportation known for its low-fares on bus tickets, convenient pick-up and drop-off locations, and direct inter-city service. Chinatown buses typically run nonstop express service between the departure and destination points. This typically results in shorter travel times. For instance, the trip from State College, Pennsylvania, to New York City takes about four hours on the Chinatown bus, compared to more than seven hours on Greyhound. Please email support@chinatown-bus.org with any questions. 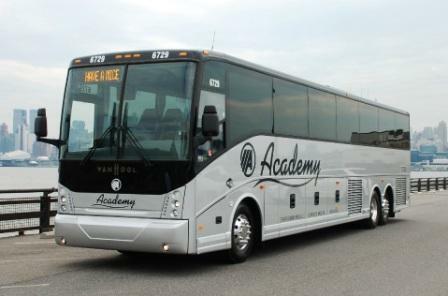 Academy Bus Services Company was founded in1968 and It is the largest privately owned and operated transportation company in the US, has been serving the East Coast. Known industry wide, for their customer service and well maintained, new equipment they have set standards for ground transportation. They currently operate charter and group tour buses all over the East Coast from operations centers stretching from Boston to Miami. They operate commuter buses from New Jersey to Manhattan and from Virginia and Maryland to Washington, DC plus service to downtown Baltimore in Maryland. Whether you need to transport 20 or 20,000, Their 1000 buses can deliver. 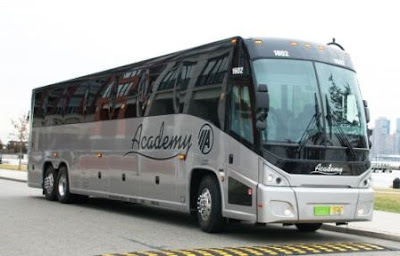 From sightseeing tours to conventions, corporate transfers, sports teams, parades, major sporting events and private charters, Academy has the wheels and wherewithal to ensure the smoothest ride on the road. 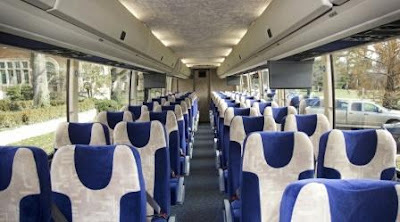 Their Fleet have been categorized into three group depending on the size of the bus, Below are the full types of their coaches an the Amenities available on a specific bus. Concord Coach Lines is a homegrown New England business that was started in 1968. Since that time, Their operations have evolved from charters and contracts into scheduled service connecting northern New England communities with transportation and cultural hubs like Boston and New York City (though they do still carry the occasional charter group or athletic team!). They take pride in delivering a safe, reliable and convenient transportation alternative. They believe that simple things, like well maintained and clean facilities and equipment, and a trip that leaves on time, are the most important ways to express our appreciation for your business and to keep you coming back. 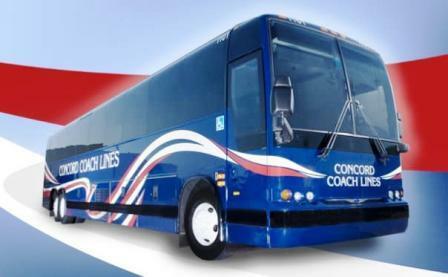 Concord Coach Lines Plus is Concord Coach Lines’ premier bus service, offering convenient daily direct trips between Portland, ME, Concord, NH, Nashua, NH and New York City. With executive-style seating, free movies, power outlets and Wi-Fi, not to mention complimentary premium snacks, fruit and beverages, Plus service is a top-notch way to travel. They maintain all of their terminals to be a safe, clean, comfortable place to wait for your ride, and free coffee and newspapers are available for all of our passengers. Their terminal staff and ticket counter is always ready to welcome you with the outstanding customer service that they pride themselves on. Concord Coach Lines is a popular bus company offering very affordable ticket options to top travel destinations. Overall, Concord Coach Lines serves 59 bus routes, connecting 19 cities in USA. 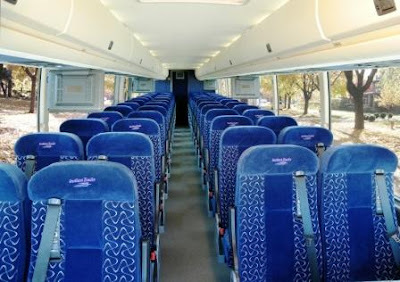 Their bus trips range in price from $10.00 to $500.00 based on a variety of factors. Concord Coach Lines serves travelers in United States with bus service to 19 destinations. These are the most popular Concord Coach Lines schedules and routes. 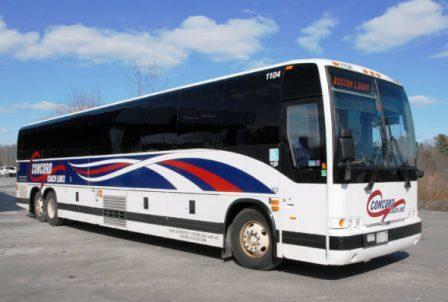 Concord Coach Lines cannot offer refunds for lost, stolen or destroyed tickets. If your ticket is lost, you will need to purchase a new one. If, however, you are able to locate your misplaced ticket, they will be happy to provide a refund. Refunds will not be given if a bus is delayed. Every effort is made to operate according to published schedules. Connections are not guaranteed and schedules are subject to change without notice. Circumstances sometimes develop beyond their control and Concord Coach Lines cannot hold itself responsible for errors in timetables, inconvenience or damage resulting from delayed coaches. All New York tickets are reservation based. Refund or rebooking requests must be received at least 24 hours before the scheduled departure time by calling Concord Coach Plus at 1-800-639-9090. These requests are subject to a $10 fee. For Concord Coach Lines tickets to Boston and Logan Airport that were purchased in person, include your name, address, phone number and a reason for refund and mail to: 7 Langdon Street, Concord, NH 03301. If you have purchased a Boston or Logan Airport ticket online and need a refund, please send an email to refunds@concordcoachlines.com with your name and order number. There is a $3.00 administrative fee for all online ticket refunds. The refund process takes approximately 5 to 10 business days. If you are unsure what type of ticket you have, please contact their Information Center for assistance at 1-800-639-3317. Interline tickets (tickets that include service beyond the Concord Coach Lines service area) must be sent to the interline carrier whose name appears at the top of the ticket. If you are unsure what type of ticket you have, please contact their Information Center for assistance at 1-800-639-3317. Interline tickets must be refunded through their Main Office, 7 Langdon St., Concord NH 03301. A customer service representative is available to respond to emails Monday – Friday, 9:00am – 5:00pm, with the exception of holidays. To speak with an Information Center Agent, please call +1-800-639-3317, or 603-228-3300. Information Center Agents are available to assist you Sunday – Friday, 5:00am – 10:00pm and Saturdays 5:00am – 8:00pm. For questions regarding New York City Plus Service, please call +1-800-639-9090, or 603-228-3300. For refunds or ticket changes, email refunds@concordcoachlines.com. GOGO Charters Is a transport company which helps groups across the United States attend events of all types with absolute ease. 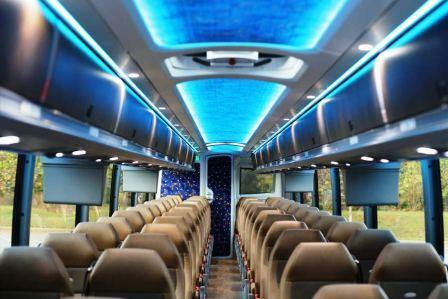 Their experienced reservation specialists work around-the clock to find the perfect charter bus for every group, whether you’re traveling with 10 passengers or 1,000. Their goal is to make the charter bus reservation process as simple as possible so that they can take the stress out of planning group transportation. Whether you need in city shuttle services or long distance transportation, They’re available to ensure that you’re paired with the best charter bus at the best price, every time. GOGO Charters takes the stress out of planning group transportation while leaving you in complete control of your trip. 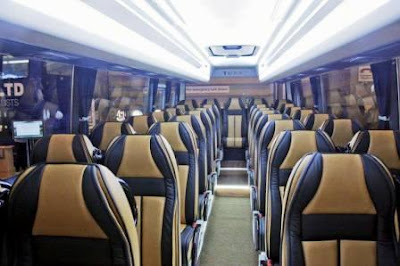 All you have to do is put together an itinerary that perfectly suits your group’s needs.They will find the best charter bus or minibus for you, outfit it with your favorite amenities, tell your driver (or drivers) where to arrive, and find the best parking and staging areas for your bus. 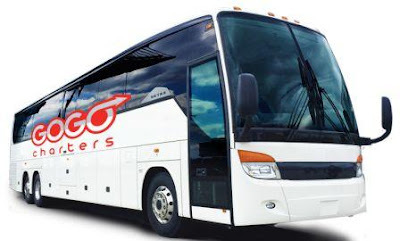 GOGO Charters works with charter bus providers across the nation to bring you the best bus selection in the business. Choose from buses ranging in size from compact 18-passenger minibuses to mid-sized 30-passenger minibuses to full-sized 56-passenger coaches. 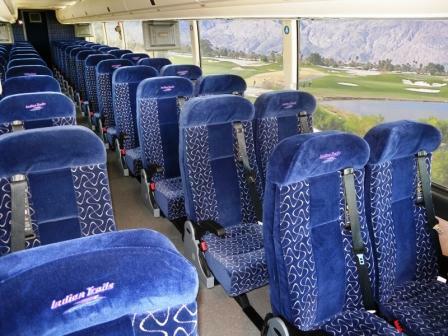 When you book with us, you can choose a bus that’s completely customized to your group’s unique needs. Need multiple buses to accommodate a large group? They’ll craft a fleet just for you to comfortably transport every passenger to your destination. You won’t have to worry about coordinating pick-up and drop-off points with venues or endlessly searching for parking. Let them handle the phone calls and logistics while you sit back, relax, and look forward to your upcoming trip! Provide shuttle services between venues to take the stress out of wedding transportation. You won’t need to worry about guests driving themselves and getting lost. Everyone can come together on a private minibus to enjoy your wedding celebration to the fullest! Plan an unforgettable event for your clients, no matter how big or small their requests. They’ll make sure you’re able to provide for all of your clients’ transportation needs with ease. From quick meetings to multi-day conventions to daily employee shuttles, They can provide shuttles or long distance travels to all event attendees. 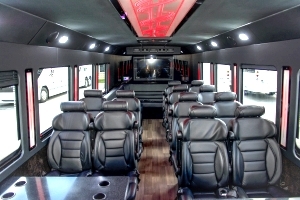 Set your own travel schedule and enjoy exclusive bus accommodations at your next business event. Book a fleet of buses for your team or a private minibus for your group of dedicated fans. They’ll help you get to the next game, off-site practice, or team-building activity with ease so that you can relax and enjoy your time together. Whether it’s for a personal vacation, a family reunion, or a church gathering, rely on GOGO Charters to provide easy group transportation. Don’t worry about who will volunteer their car or pay for gas; They’ll hire a professional to do the driving for a stress free trip spent with loved ones. Leave the old yellow school bus behind and book a modern, clean motorcoach for your next field trip, college tour, on campus event, or other school outing. Keep your students safe with a professional driver at the wheel while you relax and focus on educating your students. 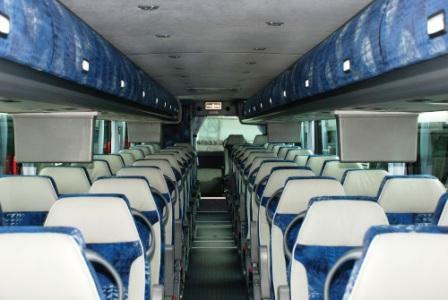 The cost of charter bus and event transportation isn’t one price fits all. Multiple factors including your destination, the time of year, and your group’s size affect the overall cost. With over 5 million miles logged in more than 300 U.S. cities, They’re experts in motor coach rentals. They’ve helped everyone from Fortune 500 companies like Delta to little league sports teams find the best bus for their budget. Call us anytime for a quote at 1-855-826-6770! If you would like a quote for your trip, please call +1-855-826-6770 at any time 24/7 and one of their travel experts will assist you. If you need customer service, you can reach them at +1 866-516-3180 or at sales@gogocharters.com. 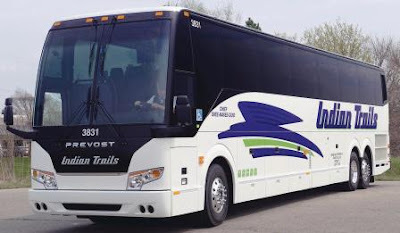 Indian Trails Bus Company operates one of the largest and newest fleets of deluxe motor coaches in Michigan. 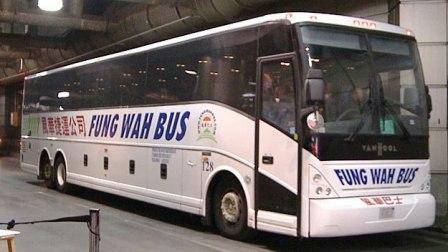 They have newer model ranging from 34 to 56 passenger capacity. 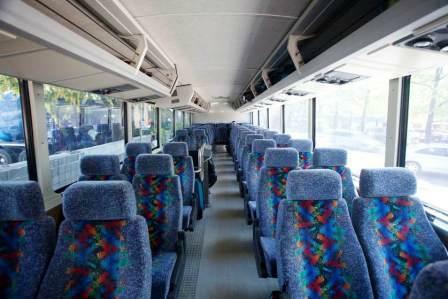 Their services include bus charters, tours, shuttles, airport transfers and daily scheduled routes throughout Michigan and into Chicago as well as Milwaukee. They have more than 108 years of experience which gives them the reputation as one of the highest quality carriers in the country. All of their coaches receive expert maintenance only by our highly trained full time mechanics, from each of our state of the art facilities. Whether you’re a professional corporate travel planner or a Cub Scout den mother, you want pretty much the same thing when it comes to group transportation. You want it to be affordable, reliable, and safe. 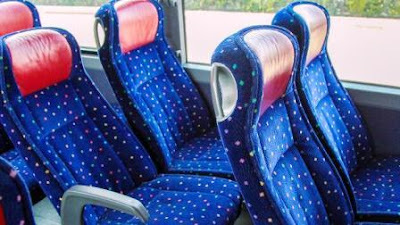 And if you’re chartering a bus, you want to know that your bus will be fresh and clean, right on time, and ready to roll. You want to work with a company that understands the unique needs of your group preferably, a well established, reputable company with a proven track record. You might need an expert to help you strategize logistics, or someone to walk you through the booking process, step by step. Chartering a bus is a big decision. By all means, shop around. Shuttle transportation service is a great way to get people back and forth between one designated point to another, typically at regular intervals. It sounds simple enough. Event planners use our shuttles to transport patrons from off site parking areas to concerts, ball games, art fairs, and festivals. Corporate travel planners use shuttles to move large groups from one venue to another during conventions and tradeshows. Wedding parties use shuttles to transport guests from hotel to ceremony to reception and back again. Universities use shuttles to get students around campus. Apartment complexes use them as a value-added convenience for their tenants. If you are a meeting or convention planner, you manage literally hundreds of details to pull off a flawless event. When you need to move people from point A to point B seamlessly, you need a bus company that knows the ins and outs of convention transportation. You need a partner that can “see around corners” so that as you plan your itinerary you’re anticipating traffic patterns, time required for loading and unloading, and a myriad of other variables that can affect transport. You need Indian Trails. Indian Trails now offers extended Customer Service hours. For Customer Service during regular business hours, Monday through Friday 8:00 a.m. - 5:00 p.m., please call (800) 292-3831. For Customer Service during extended hours, Monday through Friday 5:00 p.m. – 9:00 p.m., and Saturday and Sunday 9:00 a.m. – 9:00 p.m. please call (800) 292-3831 and select option 5. To request a refund, please email them at customerservice@indiantrails.com or call us at 800-292-3831. Michigan Flyer Bus Company was founded by Indian Trails, Inc., and Okemos Travel, in 2006. Michigan Flyer has an extraordinary 98% rate of on time arrivals and departures. 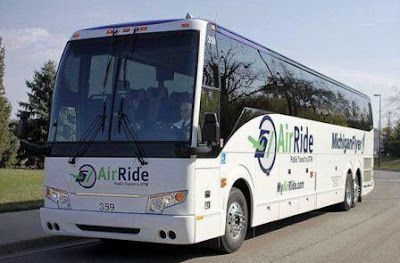 Michigan Flyer AirRide is Michigan's premier motorcoach service, offering 12 daily round trips between East Lansing, Ann Arbor, and Detroit Metropolitan Airport and an additional round trip between two Ann Arbor stops and DTW carries more than 100,000 passengers a year. They contribute to the mid Michigan economy while doing business and attending conventions here, and visiting family, friends, and our great universities. A convenient, reliable service, Michigan Flyer AirRide makes the trip for business travelers, families, students, and vacationers more relaxing and affordable. They have 12 daily round trips between East Lansing, Ann Arbor and Detroit Metro Airport. Comfortable, safe and affordable luxury motorcoaches. To find their location on Departures Level 3 at Detroit Metro Airport’s McNamara Terminal (Delta Airlines), follow the signs for “Ticketing/Check-In” and “Municipal Transportation.” hey pick up and drop off passengers just outside and to the left of the door for Air France and Aeromexico. Holiday hours may vary. Christmas Eve- December 24th- Office closes at 12:15p, December 25th- Office closed. Save money by booking online 24/7. Reservations made by phone may incur a service fee. 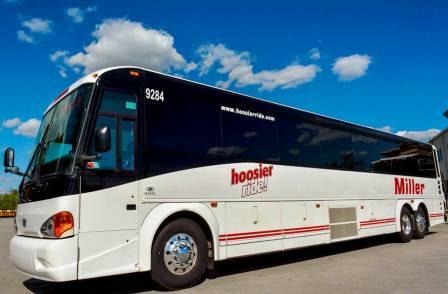 The Hoosier Ride Intercity Bus Service is a collaborated effort between Indiana Department of Transportation, Greyhound Lines Inc and Miller Transportation. The project is part of a nationwide effort to connect rural areas and urban centers that result in connections of greater regional, statewide, and national significance. The service was initiated by the Federal Transit Administration and the Indiana Department of Transportation. Miller Transportation received funding from these organizations to manage and promote this service to help link rural Indiana communities to Greyhound and the national network. Hoosier Ride has become an important service that allows customers in rural parts of the state the freedom to travel at their convenience. Hoosier Ride connects rural residents to more than 2,300 destinations throughout North America; Miller Transportation is an economical, flexible transportation option for those throughout the state. They are pleased to work with Greyhound Lines and INDOT on this important venture. The buses operate each route daily with connections to Greyhound’s nationwide system and the Indianapolis International Airport providing Indiana rural residents with greater access and mobility. They have latest and modern coaches which are equipped with air conditioning, an on board restroom, reclining seats with headrests, footrests and tinted windows. Feel free to bring reading material, radio headsets and a small pillow for your comfort. Food and non alcoholic beverages may be carried on board for personal consumption. In many cases Miller Transportation uses buses from its existing fleet to provide service for locations served by Hoosier Ride service. In some cases smaller, mid sized buses are used to provide this service. These buses may not be lavatory equipped, but drivers will stop on request to make rest stops as needed. External power outlets are available on many Hoosier Ride / Miller Transportation buses. Their buses are not equipped for movies on board, although some connecting carriers may offer this service. Miller Transportation / Hoosier Ride Package Express is an economical choice for non-time sensitive ground shipments with time estimates ranging from one to 10 business days based on distance. To ship simply bring your package to the Miller Transportation / Hoosier Ride ticket counter at one of their stations offering Package Express services and a customer service representative will assist you. The maximum weight per package is 100 pounds. The extreme measurements of length, width and height shall not exceed 30″ x 47″ x 82″. We do not provide pet transport services. Make your work commute a whole lot easier while you avoid the stress of driving and hassle of parking. Driving to and from work can be stressful. Leave the driving to them and free yourself up to concentrate on work or unwind on the way home. They will drop you off in downtown Indy, so you can arrive feeling relaxed and ready for the workday. Indy Express Bus commuters can catch IndyGo bus routes. If you’re traveling to points beyond our service area, ask your driver for more information about this option. Miller Transportation operates daily Indianapolis Commuter Express routes from Carmel and Fishers to downtown Indianapolis. Their commuter service runs from Monday to Friday, except for legal holidays. 10 Trip Commuter Tickets can be purchased onboard any Indy Express bus using cash or on-line (credit card required) at indyexpressbus. Miller Transportation / Hoosier Ride is committed to exceeding customer expectations and providing customers with the best transportation experience. They provide safe, reliable and professional drivers along with the most modern motorcoaches. Their fleet of MCI & Prevost coaches offers Direct TV*, Wifi Internet*, and DVD capabilities. ADA accessible buses are available upon request. They are fully insured and have the Department of Transportation’s and Department of Defense’s Highest Safety Rating. For shipping quotes call 502-368-5644 ext 128 or visit Ship Greyhound. Information also available at their Package Express locations.